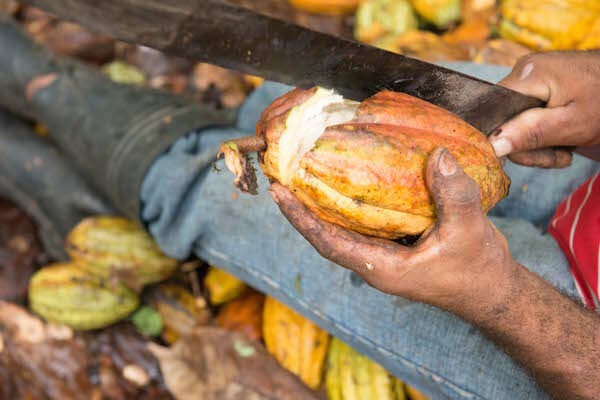 With media attention and lawsuits over child and slave labor in West Africa (the world’s largest source of cocoa beans), consumers are looking for ethically sourced, sustainable chocolate options. Don’t lose your most conscious consumers by using chocolate ingredients with uncertain sourcing and supply chain practices! When transparency and authenticity are key in reaching and keeping new customers for your chocolate creations, a strong sourcing story could mean the difference between your brand and a competitor’s. Luckily, with Agostoni you can be sure that your ingredients were sourced with ethical and environmental impacts in mind. 45 years ago, Dr. Angelo Agostoni began traveling the world in search of the best cocoa beans. He learned that it’s easy to find average cocoa but it takes collaboration between farmers and industry to produce high quality beans. Dr. Agostoni has spent decades in the field supporting farmers and developing long-term, mutually beneficial partnerships for sourcing high quality cocoa. This collaboration forms the basis of the Equal Partner Direct Buying Program, which Agostoni first implemented in the Dominican Republic, then in Peru and now in Uganda. The Equal Partner Direct Buying Program is the ethical business model underlying Agostoni’s sourcing strategy and has been tested and proven to improve quality of life for farmers and increase the quality of cocoa beans they produce. It’s not a third-party fair trade certification but a history of personal relationships that generate social, economic and environmental benefits for cocoa growers without any price premiums to you.